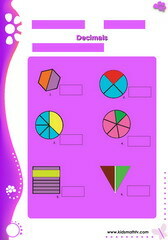 Math worksheets on decimals for children from 3rd to 7th grades. 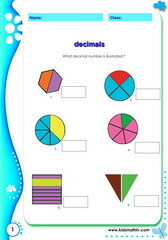 Print and practice the following: understanding decimals, decimals represented by pictures, addition, subtraction and division of decimals, converting decimals to fractions and more. This page provides all worksheets according to grade and will be useful for parents and teachers of primary school teachers who need extra practice with decimals or who need a printable tests on algebra. 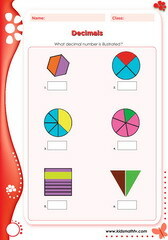 Worksheets have an answer key attached and will hence facilitate checking homework. 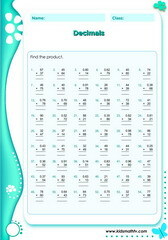 Practice Decimals sentence problems with this worksheet. 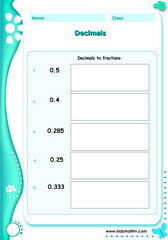 Practice Fractions converted to decimals with this worksheet. 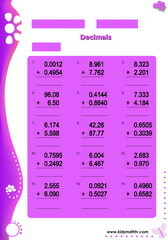 Practice Illustrated decimal exercise with this worksheet. 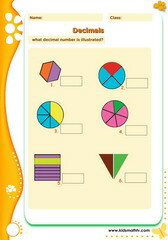 Practice Mixed decimal number patterns with this worksheet. Practice Add 3 decimals with this worksheet. 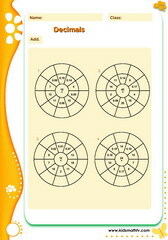 Practice Addition decimals circle drill with this worksheet. Practice Addition of decimals with this worksheet. 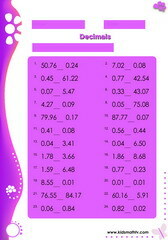 Practice Comparing decimals up to thousands with this worksheet. 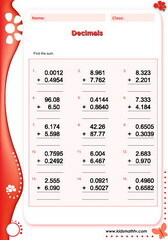 Practice Convert decimals to fraction with this worksheet. Practice Subtraction decimals circle drill with this worksheet. 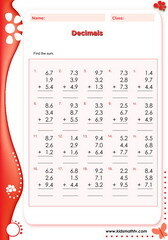 Practice Subtraction of decimals with this worksheet. 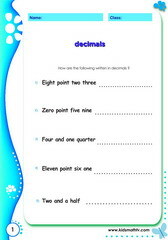 Practice Addition of 3 decimals with this worksheet. Practice Algebra decimals with this worksheet. Practice Compare decimals with this worksheet. 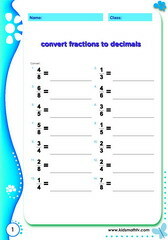 Practice Convert fractions to decimals with this worksheet. Practice Decimal patterns with this worksheet. 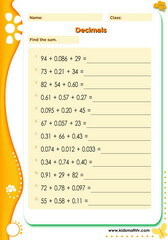 Practice Multiply decimals with this worksheet. Practice Round up decimals with this worksheet. Practice Subtraction with decimals with this worksheet. Practice Converting decimals to fractions with this worksheet. 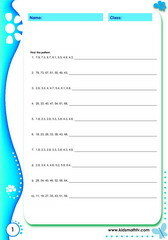 Practice Converting fractions to decimals with this worksheet. 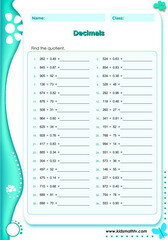 Practice Converting fractions to percents with this worksheet. 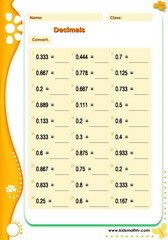 Practice Converting percentage to decimals with this worksheet. Practice Decimal addition with this worksheet. Practice Decimal division with this worksheet. 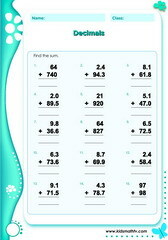 Practice Decimals multiplication with this worksheet. 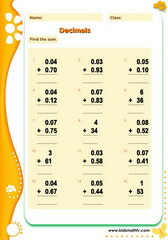 Practice Decimals subtraction with this worksheet. 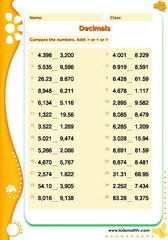 Practice Pre algebra adition decimals 3 with this worksheet. Practice Pre algebra adition decimals with this worksheet. Practice Pre algebra adition decimals2 with this worksheet.